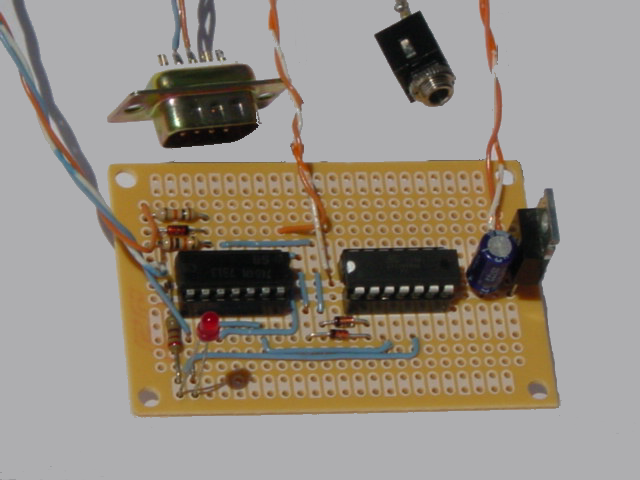 Ham Radio ICOM Yaesu Band Decoder Arduino / ATtiny Based | The Wonderful World of Microcontroller! The Experiment: Arduino/ATtiny Based (Ham Radio) ICOM CIV to Yaesu BCD Band Decoder. 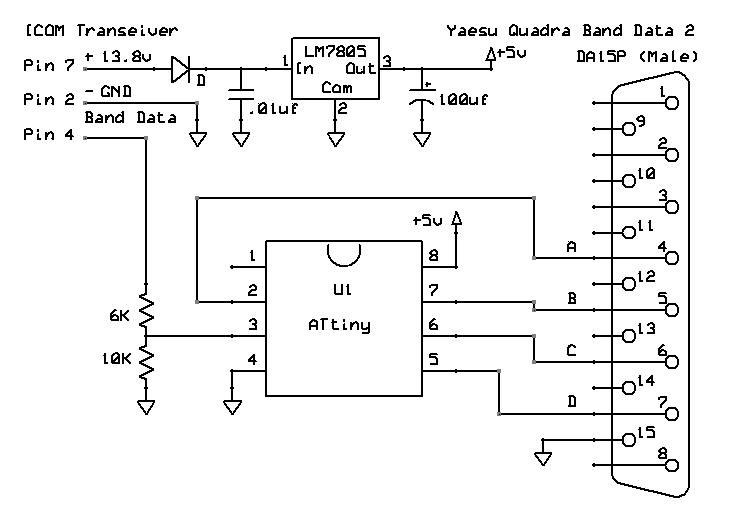 Build a ICOM CIV to Yaesu BCD Band to automatically band switch the Yaesu Quadra Amplifier. Power should come from either the ICOM Transceiver or the Yaesu Amplifier. 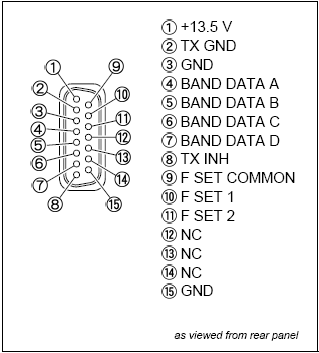 The ICOM CIV Band Decoder Sketch will be developed on an Arduino UNO then ported to an Atmel ATtiny84. The Sketch, will read the ICOM CIV data parse out the frequency and convert that to Yaesu BCD band data. So the first thing to do, assign the available pins for CIV / BCD input/output. Note: This experiment requires either an ICOM CT-17 CIV level converter or a home built ICOM CI-V level converter. 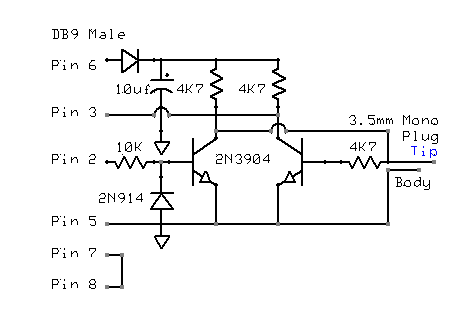 See Simple ICOM CI-V level converter By G3VGR. The 8-pin DIN plug required to mate with the Yaesu Quadra Band Data 1 connector is NOT a standard ‘270-degree’ pin pattern device. It is a ‘262-degree’ pin pattern device, commonly referred to as a ‘horseshoe pattern’ 8-pin DIN plug. If you attempt to forcibly insert a 270-degree pattern plug into the Quadra’s Band Data 1 receptacle, chances are that you will break the socket! you MUST obtain a 262-degree 8-pin DIN plug for this application. The photo above show the ICOM CI-V / RS232 7404 hex inverter level converter. 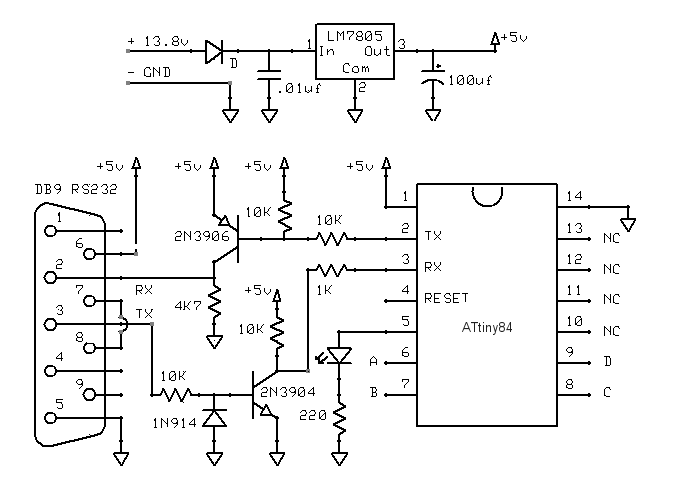 The 7404 hex inverter replaces the RX and TX transistor assemblies show in the schematic, either level converter works, but the 7404 hex inverter level converter is just a cleaner way to invert the serial signal. The Experiment: Arduino/ATtiny Based (Ham Radio) ICOM Band Voltage to Yaesu Band Decoder. Build a ICOM Band Voltage to Yaesu Band Decoder which fit inside a DB15 connecter housing which connects to the Yaesu Amplifier. Power should come from either the ICOM Transceiver or the Yaesu Amplifier. Credit for this Sketch goes to 5B4WN who originally wrote it for the Arduino. Please visit 5B4WN website for detailed information for the ICOM Band Decoder Sketch . There will be some changes to the original Sketch, no need for serial output and output pins will be switched using direct portB register access. The micro-controller for this experiment will be the Atmel ATtiny85. So the first thing to do, assign the available pins for BCD output.